Let’s drop in on their conversation. Click here to listen to the conversation as well. …Chris: David, you’ve been involved with buying and selling businesses since the 1990s. What has attracted you to that field and can you share more about your background? David: I became interested after I left my job at Ernst & Young, that’s when I started my first company. After three years, I decided to sell it. I went through the process myself. Looking back at it I made a lot of mistakes. But, the whole process of dealing with the buyers, collecting information and negotiating really attracted me to pursue it as a career. That was the main reason I went back to Vanderbilt’s business school, I graduated and was very fortunate to work on Wall Street for Goldman Sachs. Chris: Great story! Basically, you learned from your mistakes and built a career around that. Given your expertise and experience in this area, let’s shift the focus of conversation to the business owner who’s just starting off. 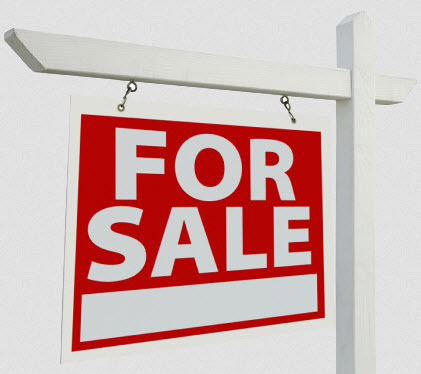 What are some of the biggest factors that they should be aware of when it comes to selling their business? Do I really need to hire somebody to help me sell my business? Why can’t I do it myself if I feel like I have the type of business and background? Really, I’ve got the gumption to try to do it on my own. The two things that bifurcates that decision process are going to be if you’re business is doing less than $5 million in revenue. You have a pretty good shot to sell that business yourself and avoid business broker type commissions. You’re always going to be your own best advocate of what your business can do. If you think about it you’re selling your business, that’s really just the last sale that you’re ever going to make in that type of business. So you view your buyers as your last customer. Now if you’re doing more than $5 million in revenue, I would suggest to hire some type of intermediary. I would consider using an investment banker. They have access to private equity buyers that, as an individual, you’re really probably never going to be able to get to. Chris: Very Interesting. How do I, as the business owner, know when the right time is to sell my business and how do I do that in a way that helps me maximize my return? If you’re on a nice growth path the buyers will identify that. There’s really not a wrong time to sell, if things are going your way. You’ve got to think like a buyer when you’re a seller. If you want to sell your business, sell when things are going well, and leave some of the upsides to the next buyer, that’s what you’re trying to do and exit at the highest valuation. Chris: Now let’s say that we are a small business. I’ve got a lot of positives going on with the business, and I am thinking like the buyer. I’ve got a great asset to sell. What are certain steps I should take when moving that process forward and trying to sell my business? David: There’s three key things that a seller needs to think about when they’re about to embark on this process. The first one is time. I think people get frustrated in the process when they want to sell their business because they have unrealistic time expectations and they’re completely unrealistic in terms of what the process may entail to get to that successful sale. Don’t rush into it. There’s a lot of preparation. The analogy I use is it’s like building a house. You’ve got to get the foundation down before you can even attempt to try to sell the company. The single most important piece of advice that I can give people who are contemplating selling: make yourself completely invisible to the business. You have to make yourself look like you’re not part of the business, because then the buyer doesn’t feel like when you walk out the door, all the business is going to follow you. I think people underestimate how important that is to the process. Most importantly, if I want to sell my business I need to not be viewed as integral to the business going forward. We host an informal "Strategies that work" series which posts from time to time. Here are a couple of others.